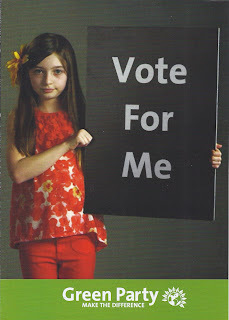 The GLA elections are fast approaching with polling day (3rd May) less than ten days away now. In Haringey, we in the Green party have leafleted half of the borough, and run weekend stalls throughout April in several locations, and are hopeful of increasing our vote locally and across Greater London. Unfortunately, the campaign has been dominated by the Boris (Johnson) versus Ken (Livingstone) for the London mayoralty, and featured a dismal and rancorous debate between the two big party politicians, which has barely gone beyond accusations of tax avoidance by both the front runners for mayor. This tactic seems to have favoured Boris Johnson, by conjuring up the image (with the help of the London Standard newspaper) of Livingstone as a shifty character, and Johnson is narrowly ahead by two points in the latest opinion poll. He has successfully diverted attention away from his lamentable term as mayor, where public transport fares have nearly doubled, and Barclays Bank have benefited to the tune of some £40 million by getting city wide advertising on ‘Boris Bikes’, as reported on this blog here. Opinion polls also indicate a collapse in the Lib Dem vote, with mayoral candidate Brian Paddick polling only around 8% of the vote. Here lies one of the most interesting aspects of the elections, more so for the London Assembly than the mayor contest, which is always between Labour and Tory candidates. In the 2008 GLA elections (pre entering coalition with the Tories at Westminster) the Lib Dems tried to be one the ‘big boys’ by attempting to win a constituency seat on the London Assembly, putting all their efforts into one area. The tactic backfired and not only did they not win the targeted constituency, but they lost one seat from the London wide Member constituency. This year the Lib Dems do not have such lofty ambitions and will be extremely grateful if they retain their three seats on the Assembly from the London wide Member list. It looks as though Labour will benefit from disaffection with the Lib Dems, but the Green party hopes to gain votes from these voters too. It seems to me that many voters are still not convinced by the Labour party, post Blair/Brown, and the spectacular success of George Galloway’s RESPECT party in the Bradford West parliamentary by-election, is evidence of this mood. Many voters I think, are dissatisfied with all of the main parties, and may be open to voting for smaller parties, like UKIP, BNP, TUSC and the Greens. 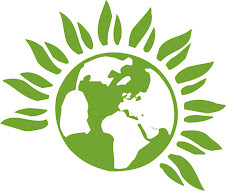 The Green party has had representation on the London Assembly ever since it was formed in 2000, and are as such, London’s fourth party, so we are in a good position to make gains this year. London’s voters have the chance to show the establishment parties what they think of their elitist obsession with pandering to the wealthy and austerity measures for the rest of us. Make the Difference, Vote Green on 3rd May (especially on the orange coloured proportional ballot paper).